The Osteopathic Foundation is committed to improving our Lakeshore community through health and wellness. These programs further that commitment. From High School to D.O. Our community grant program provides funding for lasting resources and programs that educate, equip, and inspire Muskegon-area residents to live healthier lives. Since 1998, we have provided more than $3,000,000 in health and wellness grants to benefit the Muskegon-Lakeshore Community. Our grants have funded essential specialty clinics, educational and safety campaigns, medical training equipment, and much more. We accept grant requests from nonprofit, tax-exempt public charities that serve Muskegon County, Oceana County, Newaygo County, and northern Ottawa County. 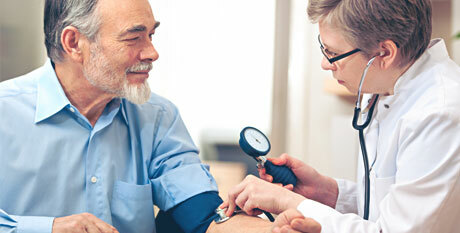 Grants must meet critical health and wellness needs within this service area. Our annual grant process takes place in the spring, with applications due by March 31 each year. Typical grants range from $2,000 to $15,000. For larger projects, multi-year grant requests may be considered separately. The Foundation will accept small grant requests of less than $1,000, at any time during the year. Requests should be directed to the Foundation’s office in the form of a letter signed by the organization’s executive. The letter should describe the need, the total project cost, and specific uses of the funds requested. Applications will be reviewed on a first-come basis and will be funded based on the scope and degree of impact on individuals within the Foundation’s geographical service area. Click the button below for complete grant guidelines, restrictions, and application instructions. Our team and the kids we serve are so grateful for you. Thank you for nourishing young bodies and minds! For high school students, becoming a doctor is a dream that can seem out of reach — especially if they are under-resourced or the first-generation to attend college. In partnership with Michigan State University’s College of Osteopathic Medicine (MSU COM), we inspire and equip talented students to pursue healthcare careers and build a promising future for themselves. West Michigan OsteoScholars and MSU’s OsteoCHAMPS programs combine to create a year-long experience for high school sophomores and juniors considering healthcare careers. 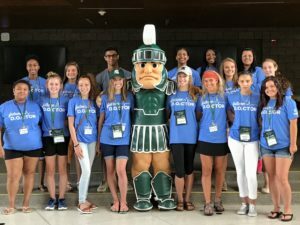 The capstone is an exclusive 9-day summer program on the campus of Michigan State University, with many area students receiving full scholarships from the Foundation. During the academic year, students attend monthly programs hosted by Michigan State University’s Extension Services. These modules help students to improve their educational opportunities through skills-based volunteerism, scholarships and financial aid, interview skills, and more. Through interaction with local D.O.s, students learn about medical specialties, how to navigate medical school and residency, and they even practice medical procedures at the Mercy Health Regional Simulation Lab. Meetings are typically held on the Hackley Campus on the third Tuesday of each month, October through May, from 6:30-8:00 pm. Applications for OsteoScholars 2019-20 will be available on this page in Spring 2019. High school sophomores and juniors may apply for OsteoCHAMPS, a capstone summer program hosted by Michigan State University’s College of Osteopathic Medicine. The Osteopathic Foundation is pleased to provide full scholarships to many area students each year. Over the course of nine days, students experience life and learning on the University campus. The curriculum includes medical and life skills training with the goal of preparing students for a successful journey to and through medical school. For many students, this is their first experience of university life. OsteoCHAMPS was founded in 2000 by Margaret I. Aguwa, D.O., Professor and Associate Dean for Community Outreach and Clinical Research at MSU COM. The Osteopathic Foundation of West Michigan has been a key partner since the program’s inception. In addition to providing full scholarships to attend the OsteoCHAMPS summer program at MSU, the Foundation also awards $500 college tuition scholarships to graduating high school seniors who fully participate in the West Michigan OsteoScholars and OsteoCHAMPS programs. Students who enroll at MSU for undergraduate education have the option to participate in MSU’s Osteopathic Medical Scholars Program in which college students are paired with mentors and MSU COM advisors in preparation for medical school. Qualified students may receive preferential admission to MSU COM upon graduation and may be permitted to waive the MCAT requirement. By investing in local students, providing a path through medical school, and encouraging them to return to the Lakeshore to practice, we strengthen our osteopathic legacy and insure its future. 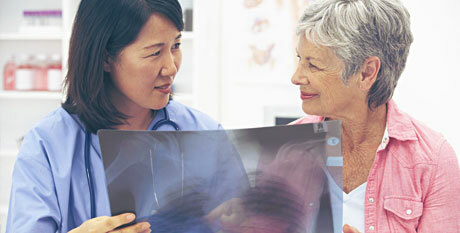 After graduating, I plan to pursue a degree in healthcare. Thanks to you, I am one step closer to that goal. Your generosity has inspired me to help others and give back to the community. I will be attending Michigan State in the Fall, majoring in Human Biology, and this scholarship will greatly help me continue my education. Thank you again for this opportunity. Supporting future osteopathic physicians helps to ensure that our community will continue to have local access to a broad range of care. Scholarships are a practical and meaningful way to support West Michigan medical students who are pursuing training in osteopathic colleges and osteopathic residents who practice in the greater Muskegon area. The goal of the program is to encourage physicians to return to the area, build their practices, and contribute to the long-term health of our community. All scholarships are granted on an annual basis. Interested applicants must submit their completed applications to the Foundation by March 31. Medical Education Scholarships will be considered for osteopathic medical students who graduated from high schools within the service area of the Osteopathic Foundation of West Michigan (Muskegon County, Oceana County, Newaygo County, and northern Ottawa County) and who are students in good standing at medical schools accredited by the American Osteopathic Association. Although not required, recipients are encouraged to return to practice osteopathic medicine in the area that the Foundation serves. These awards are typically $1,000 each; students may apply each year of medical school. The Dr. David A. Dora Medical Education Scholarship was established in 2014 to honor Dr. Dora for his commitment of service to the community and his students. The $10,000 scholarship (payable in two $5,000 awards) is awarded to an outstanding third-year osteopathic medical student with Mercy Health Muskegon (MHM) as their base hospital and an intention to participate in the MHM residency program. Students should apply in the spring of their third year. Please see the Scholarship FAQ for important criteria and alternate means of qualification. Resident Retention Scholarships are available for osteopathic residents graduating MHM’s residency program who have formally committed to practice in the Lakeshore area. Please click here for an application and see our FAQ for additional information. Please review our Frequently Asked Questions for scholarship criteria, decision-making process, allowed uses of funds, and other helpful information. Please note that all decisions to award (or not award) scholarships are at the sole discretion of the Board of Directors.